More than 15 million adults and their immediate families in America today must cope with a patient suffering from severe mental illness. In too many cases, these families cannot or do not know how to get help for their loved ones. 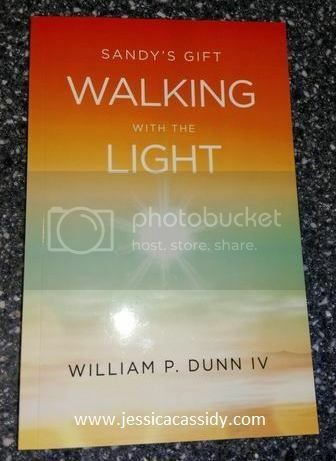 SANDY’S GIFT: WALKING WITH THE LIGHT (Cedar Forge, 2017, softcover) by William P. Dunn IV is an intimate and shocking true story that tells of the tragic plight of Sandra Dunn, a mother and loving wife whose life takes a tragic turn when she suddenly falls victim to severe mental illness; how the healthcare profession and the law prevented her from getting the treatment she needed; how it destroyed her family and nearly got them killed. By sharing his story, Dunn hopes that people will have a better understanding of the ravages of mental illness and know how to cope with them better. The ultimate promised to love, in sickness and till death do they part is what I have learned from reading this book. It is a very long book but it is worth to read from the first until the last page. Goodness gracious, it is such a beautiful love story of happiness, sorrow and justice. I am awe of Bill who is also my favorite character from this book. He is the ultimate husband of all time. This man has everything that every single women should dream of. He is not only workaholic but making sure that everything is taking care of from family to work. The best father in the world he is. I loved how he spent his hectic schedules to keep the family intact and have the best time of their lives especially his children. They are very lucky to have a father like him. This book is very emotional. Though I did not cry, still breaks my heart into million pieces. Be prepare when you read this one of a kind love story and fight for justice. There are so many beautiful moments from this book especially the last part. Be prepare to be awe. William P. Dunn IV worked on Wall Street in the U.S. Government bond market where he worked his way up from the back office to the trading desks. After twenty years on Wall Street, he became a financial advisor in northern New Jersey. He continues to work as an investment advisor. He is a graduate of Thiel College where he earned a dual degree in Economics and Business Administration. Today he lives in Ft. Lauderdale, Florida and is a proud grandfather. What was the hardest thing to come to grips with when you realized Sandy’s decline into insanity? If you had to do it again, what would you have done differently? What haunts you the most about your family’s tragedy? Do you have any advice for others who have family suffering from severe mental illness? 1) My first thoughts focused on revenge. I was furious with the so-called public servants of New Jersey who literally thwarted every effort I tried to make to ensure Sandy could get the treatment she deserved. By chance, I came across a medium. At first, I thought she was just some local hocus-pocus who offered me messages from the Beyond. But events after that meeting caused be to think in another direction: If, by sharing my story with others, perhaps their loved ones may be spared a similar fate. 2) I was really left clueless to her actual diagnosis. No one would tell me what was wrong with her and thus I was in the dark about what to do. I had to fly by the seat of my pants as I tried to manage the home, care for the children, and make a living. There was no help from anyone. 3) I now wish I had had a better understanding of healthcare laws so that this tragedy would have never taken place. Sandy might still be with us. The most important thing people can do is to make sure they know how the healthcare laws in this country can work against them and their loved ones. 4) The fact that unfortunately Sandy was never given the possible chance to see if a treatment could have saved her. I’m convinced my story would not have ended so tragically. 5) Trust yourself over the so-called experts because you have first-hand knowledge of all events. Don’t trust many government officials or even healthcare professionals as they will mislead and often lie to you right in your face.